If you’re thinking about a new deck, one of the most important factors to consider is the deck material. Ultimately, the material you choose affects how the deck looks and feels, as well as its lifespan. Plus, the location of the deck and its usage also affect which deck material best-suits your project. Friel Lumber Company carries a range of decking brands and materials to help you find what you’re looking for. Not sure which one to pick? We’re here to help. Split-level housing became popular in the 1960s, as it provided a way to separate family activities. In this style of home, the front door leads to a small foyer halfway between the upper and lower floors. Stairs immediately ascend and descend from the entryway, creating a lack of storage room. But, with any home, there are ways to add storage to even the smallest of spaces. These gorgeous split-entry foyers are sure to inspire your next project. So you’re remodeling your kitchen or bathroom. First, you’ve picked out your cabinets and finishes. Now, it’s time to decide which is better: knobs or pulls. These seemingly minuscule pieces of hardware can make all the difference in not only the look of your space but the functionality as well. If you’re caught up in the knobs vs. pulls debate, here are some factors to consider. With so many different types of home siding available, it can be hard to choose one. That’s where Friel Lumber comes in. We can help you consider the style, durability, cost, and maintenance to ensure you select the best option. But ultimately, the final decision is up to you. To help narrow down your needs, let’s start by exploring each type. Many factors work together to keep a home safe and comfortable. Insulation is perhaps one of the most important. It works behind the scenes in the walls, basement, and attic all year round. Its primary job is to help control airflow and temperature, but that’s just the beginning. 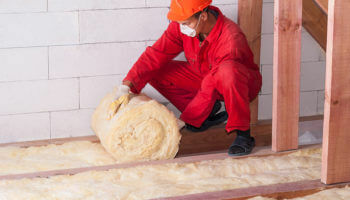 When installed correctly, insulation can have major benefits to a homeowner. Read on to learn about the importance of insulation in your home. You may not think it, but having a shower with luxury design, quality water pressure and extra comfort features make a big difference. If your bathroom is next on the renovation list, it’s wise to research the latest trends and everything from the first idea to the final touches. Take your home’s bathroom to the next level with one or more of these 5 shower trends. The trick for dealing with small spaces is organization. A good organization system prevents any room from looking cluttered or feeling cramped. Placement and organization makes a space feel bigger, more open and more inviting. If you need help organizing small spaces, like a kitchen or bathroom, use these tips for inspiration. Feeling uninspired by the walls and floors in your home? Many people don’t realize just how much these elements impact the look and feel of a room. Change them, and you can completely transform the space. So, if you’re thinking about updating your kitchen or bathroom, the tiles are a great place to start. And we have just the thing: colored grout. Over the past few years, there’s been a new trend emerging in the world of tile. Today, you can find so-called “wild tiles” in homes of every style. From traditional to contemporary, farmhouse chic to mid-century modern, installing tiles with bold designs makes a big statement. 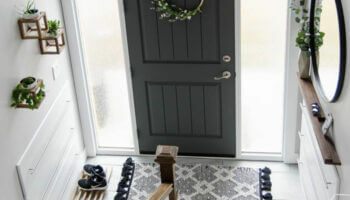 Learn where and how to use wild tile in your home.